Kasanggayahan Festival is Sorsogon City's official festival celebrating the city's fiesta. The theme this year is in English language. Last year it is in Sorsoganon dialect. Held every October, the local government of Sorsogon is always in full blast to make this festivity a success. This 2018, Sorsogon City is celebrating its 124th Foundation Anniversary of the Province of Sorsogon as a separate province from Albay. I lived in Sorsogon city for two years when I was earning my two-year diploma then moved to Legazpi city to finish my bachelor's degree and now "settling down" here in Manila. Executive Order No. 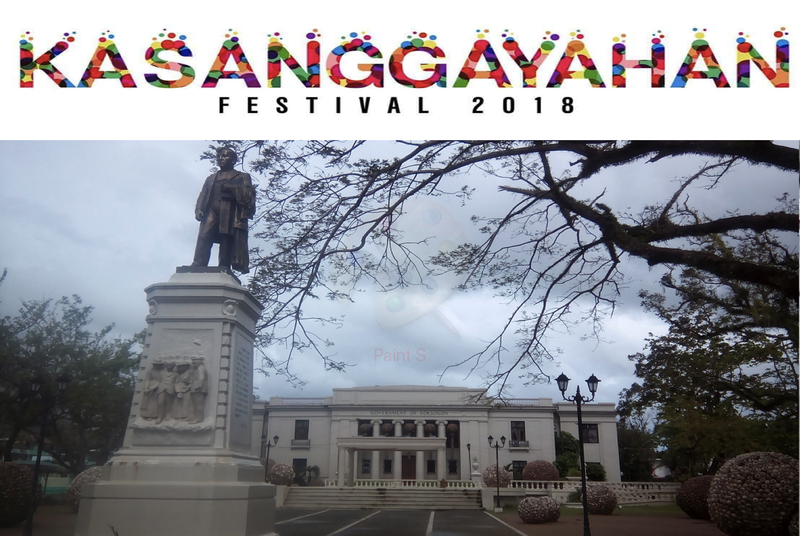 016 Series of 2018 is a local law that promotes Kasanggayahan Festival. It is an executive order enjoining the participation to Kasanggayahan Festival 2018 of all national and local government offices, public and private schools, civil society organizations, non-government organizations, peoples’ organizations, private sector organizations, partner institutions and organizations in the province of Sorsogon. Whereas, the same act mandated all government officials in the province, national and local to spearhead the commemoration of the Foundation Day of Sorsogon as province. Whereas, Kasanggayahan Festival has been and is a venue to promote, spur and enhance Sorsogon's local economic development and cultural identity, promote an environment conducive to tourism and encourage appreciation of Bicol arts and culture, culinary disciplines, indigenous products, natural and historical treasures. We are looking for contributors who can share their photos of past and 2018 Kasanggayahan Street Dance Competition. We welcome any additional information, photos of other relevant activities and updates about Sorsogon City's fiesta celebration. We are currently looking for the following information: (1) official history of Kasanggayahan, (2) the history of Sorsogon province (3) travel guide about Sorsogon's tourist destinations including hotels and newest attractions. If you want to help, you can send email to the author at mariaronab@gmail.com. Your name will be credited as source. Organizer: Mr. Dennis Donor, M.D. Organizer: Mr. Oscar E. Labarete, Jr. Note: This is an outsourced travel guide of 2018 Kasanggayahan Festival schedule. We do not claim as the source of any of these information. Please double check with the official website and/or Facebook fan page of LGU Sorsogon for more information.